China is the leading source of greenhouse gases, and that fact is made clear by the money they invested for renewable energy that triples that of the US investment. According to Bloomberg New Energy Finance and United Nations Environment Program’s sustainable energy finance center, and the Frankfurt School of Finance and Management report on April 5, almost half of the $279.8 billion world’s investment in 2017 for renewable energy was from China. China’s renewable energy investment grew by 30% in comparison with 2016, and it triples the US investment which dropped by 6% since 2016 to $40.5 billion in 2017. It was in 2009 when China first the lead from the US in the renewable energy investment, but back then the difference was only about $14 billion. The ranking in 2017 investment in renewable energy has China at the top, followed by the US, Japan, India, Germany, Australia, UK, Brazil, Mexico, and Sweden. In 2017, China, Brazil, and India are the developing economies’ “big three”, and they make up for 63% investment globally in renewable energy. 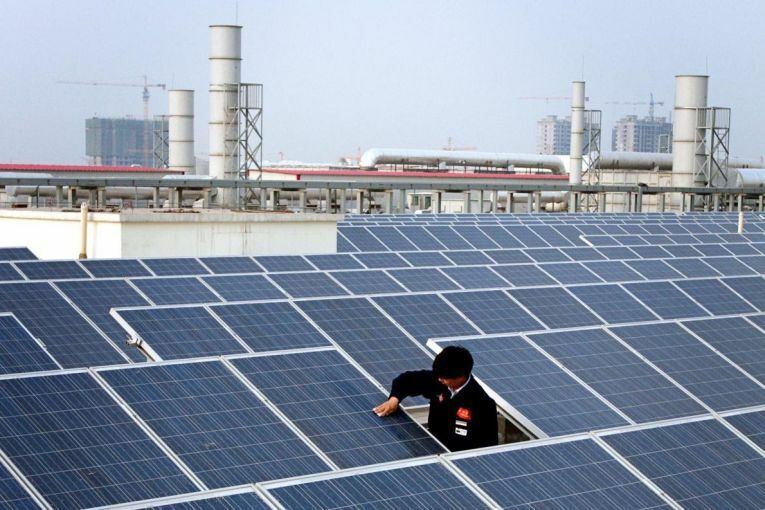 Two-thirds more of China’s whole investment in renewable energy have gone to solar, which furthers 53GW of capacity that can power 38 million houses and more. And almost one-third of the investment was spent on wind as a source of energy. Because of the extreme pollution in China, it was extensively developing the system for renewable energy and in 2016, they became the largest producer of solar energy, promoting process of converting sun’s heat to solar cells with the capacity of 78GW. And some coal mines were transformed into floating solar farms which are the largest in the world. In total, the renewable energies produced in China has reached 20 percent of the energy use in the country, and coal on the other hand represents more than 60 percent of China’s energy usage. In its entirety, the world is using 12 percent renewable energy, and China beats that by consuming 26 percent of the electricity production as a whole using renewable energy. Frankfurt School of Finance & Management President Nils Stieglitz stated that the current growth of energy renewable consumption in China shows the direction where the green energy is heading, though they understood that it will still take a long time to fully embrace the use of the whole renewable energy system completely.